Need an estimate for your project? Shopping around for the best window film pricing? Dallas Window Film has got you covered. We carry over 260 types of window tint and offer some of the most affordable prices in the Dallas metropolitan area. At Dallas Window Film, your needs are our number one priority! At Dallas Window Film, we work hard to satisfy our customers. That’s why we’re committed to keeping our prices honest and reasonable. We understand that each building and client is different which is why our installation prices are set at a customized rate. We’ll work with your budget to find a film that works for you and make sure that you fully understand all itemized costs in advance. The information on this page is designed to help you gain an understanding of what to expect for your project. The cost of your installation will partially depend on the type of film your building needs. Some important things to consider when deciding on a film are listed here. Glare: Do you ever find it difficult to watch your tv or work on your computer due to too much glare on the screen? Fading: Does your home, office, or commercial building contain furnishings or flooring that needs fade protection? Safety: How do you feel about the safety of your home or business? Do you have any unique security needs? Indoor comfort: How would you rate your indoor comfort year round on a scale of 1-10? Energy cost: Do you experience fluctuation in your energy bills? Are you looking for a way to reduce expenditures? Aesthetics: Are you satisfied with the appearance of your building? Do you have any decorational, promotional, or privacy needs? Cost of manufacture: High quality film costs more to manufacture. These films incorporate metal, dye, and ceramics into their makeup and are typically more effective. Less expensive films are cheaper to manufacture, but they usually don’t perform as well or last as long. Project size and complexity: The bigger or more complex a project is, the more that it will cost. If an installation is particularly difficult, it could require extra labor or special products. However, large commercial projects may be able to receive a discount. Quality of service and warranty: How much your installation costs also depends on the quality of the services being performed and what warranty is included. A more experienced, larger company may charge more but will stand by their work and can deliver results in a quicker period of time. Spectrally selective: Spectrally selective films typically cost $9-18/sq foot and are used to block heat, glare, and uv rays while creating a bright, well lit interior. Low-E: Low-E films usually start at $20/sq ft. Low-E window film improves occupant comfort and reduces energy costs year round. Safety & security: Safety and security films range from $8-16/sq ft. with attachment systems costing an extra $2-5/LFT. Security films offer defense against flying debris, theft, accidental damage, weather, and more. Bullet resistant: Bullet resistant window systems average around $125/sq ft. These films offer defense against explosives, gunfire, and other serious dangers. Decorative/frosted: Decorative and frosted film ranges between $6-12/sq ft. These films are used for aesthetic, promotional, and privacy purposes. *Please note that this information is only to be used as a reference. Actual costs may vary per project. 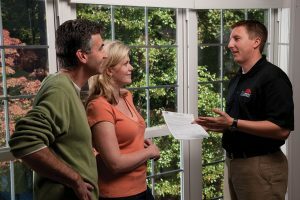 Martin Faith, the owner of Dallas Window Film, provides some insight about the “real” cost of window film. Read below to find out about a conversation he had with one of our return clients on this topic. Start exploring your options today. Find out more about window film products and pricing by calling Dallas Window Film. We’re the number one source for commercial and residential window tinting in the Dallas-Fort Worth area! Dallas Window Film can install energy saving, UV blocking, privacy, security, and decorative window films for both residential and commercial clients all over the state of Texas. Our clients are always happy with the result. If you would like to learn more about window film, or would like to hear what our clients have to say, you can visit our Testimonials Area. Dallas Window Film is honored to announce our recent award on behalf of Eastman and Llumar SelectPro for “Best in the West” window film contractor. As the Western Vista dealer of the year, we’re humbled by the recognition of our work ethic, consistency, and dedication to our customers and community. We strive to continue being the recognized leader in our industry and are proud of our recent accomplishments, our hard working team, and all of our wonderful clients. Serving these and other communities across Texas.